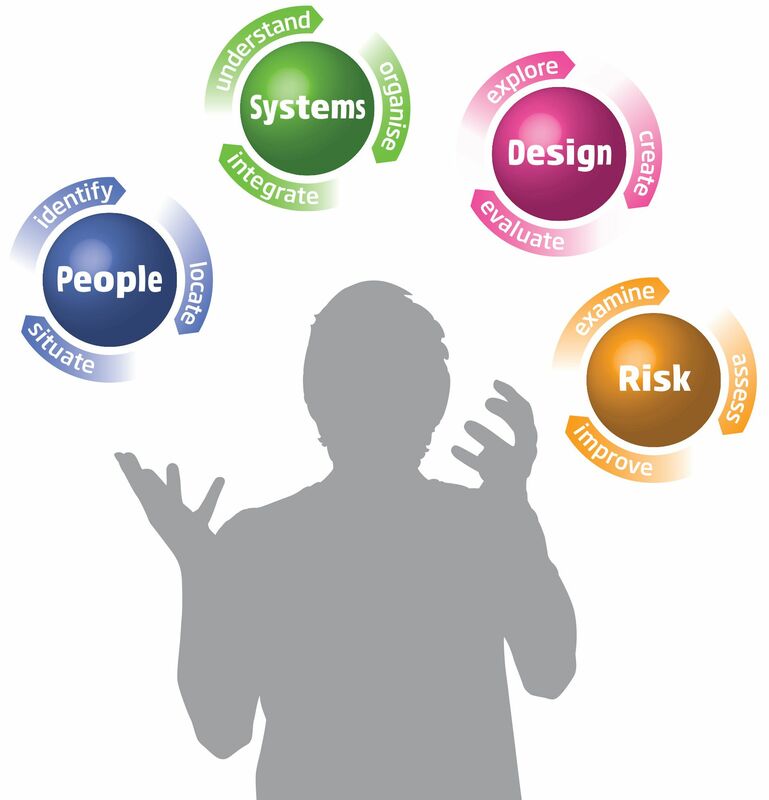 A true systems approach is one that consistently delivers a high-quality service and this is most likely to be the result from a team successfully integrating people, systems, design and risk in an ordered and well-executed manner. As with a juggler (Figure 4), dropping any particular ball would compromise the integrity of their performance, in the same way that ignoring any particular perspective might compromise the performance of a system. Adopting one or more of the four perspectives (Annex 3: Elements of a systems approach) into current practice can be done by simply asking ourselves the appropriate guiding questions (Figure 5). There should be an emphasis on integrating people, systems, design and risk thinking within current improvement processes, assisted by a number of existing tools (Section 2: Approaches to improvement). 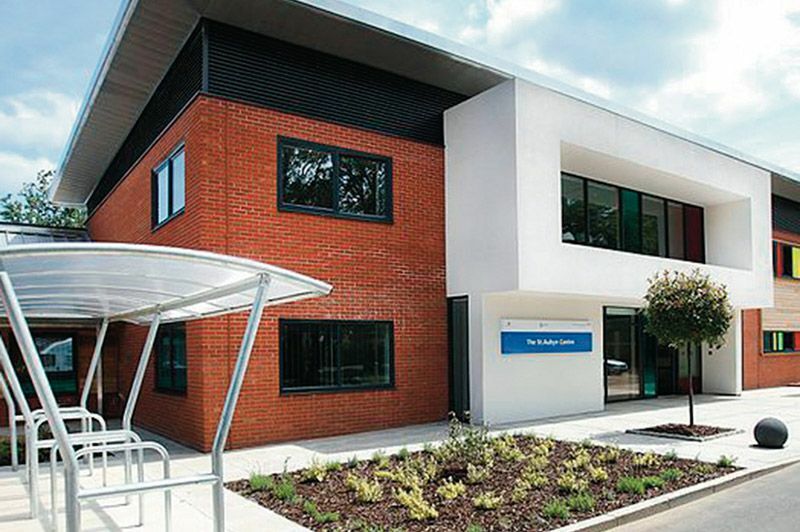 Patient and staff personas were created to increase the team’s understanding of people’s potential behaviour in the yet-to-be-built St. Aubyn centre. When juggling, the performance is only complete if all the balls remain in the air. Similarly, a systems approach is only complete if all the perspectives are kept in mind during the design or improvement of the system. 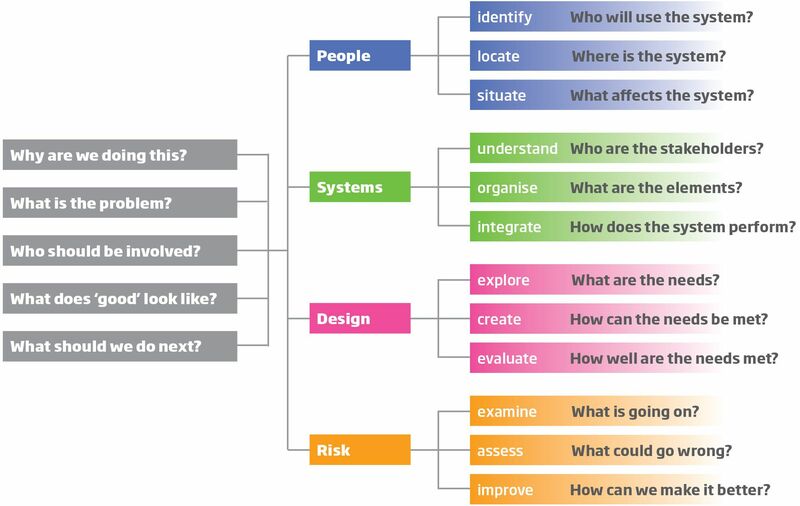 A systems approach can be thought of as a set of activities targeted to answer questions relating to people, systems, design and risk, along with questions focused on the general process of improvement.